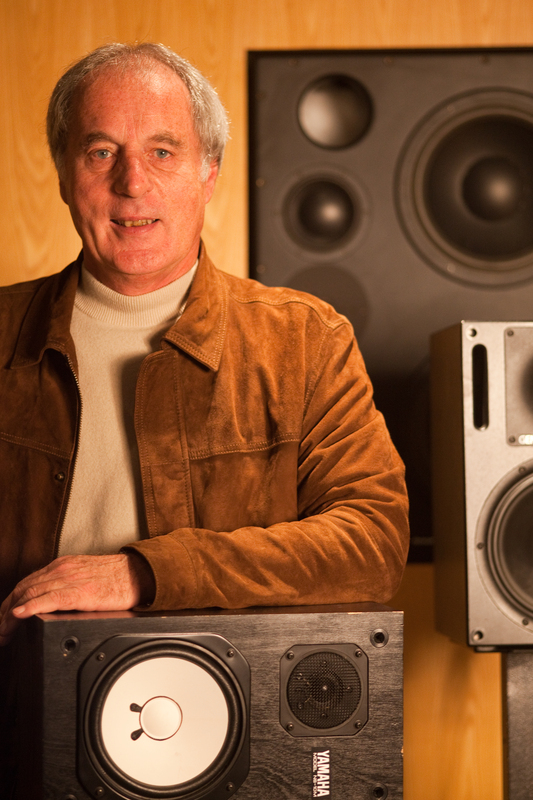 From Pink Floyd to Simple Minds, John Lennon to Muse, Public Image Limited to XTC, John Leckie has produced or engineered records for everyone who’s anyone in rock’n’roll. He’s picked up countless awards and accolades along the way and has been inducted into the Record Producers Hall of Fame by legendary guitarist and no stranger to the faders, Led Zeppelin’s Jimmy Page. Fortunately, he’s not so reticent about the buttons, rotary potentiometers and faders that have been his stock-in-trade for more than four decades. Sitting in one of the demonstration suites in Solid State Logic’s headquarters just north of Oxford, he seems more than happy to chat about how all that’s changed. By 1968 Leckie was writing a thesis on electronic music. ‘I was always mad keen on Moog synthesizers, or anything that was a new sound.’ Finding that there were very few books on the subject, Leckie copied notes from the back of Stockhausen sleeves. His thesis eventually covered all aspects of electronic music, from the design of oscillators and filters, to an appreciation of classical electronic music, taking in Pink Floyd and Jimi Hendrix along the way. Towards the end of his eight-year stint at Abbey Road, Leckie started to notice digital technology creeping into the mix. ‘It happened very slowly at first,’ most obviously in the form of Solid State Logic’s inroads into computerized recording desks (‘We were blown away by the SSL computer being able to print out the channel lists.’) But what the integration of computers into the process really meant was greater control over the faders and cut-buttons on mix-down. ‘That was the prime thing.’ Change was rapid: mixing desks had gone from 4-track to 16-track – the ‘Dark Side of the Moon’ desk was ‘considered huge’ – in the blink of an eye. With the 24-track desk on the horizon, EMI simply couldn’t provide the technology to its global network of studios. 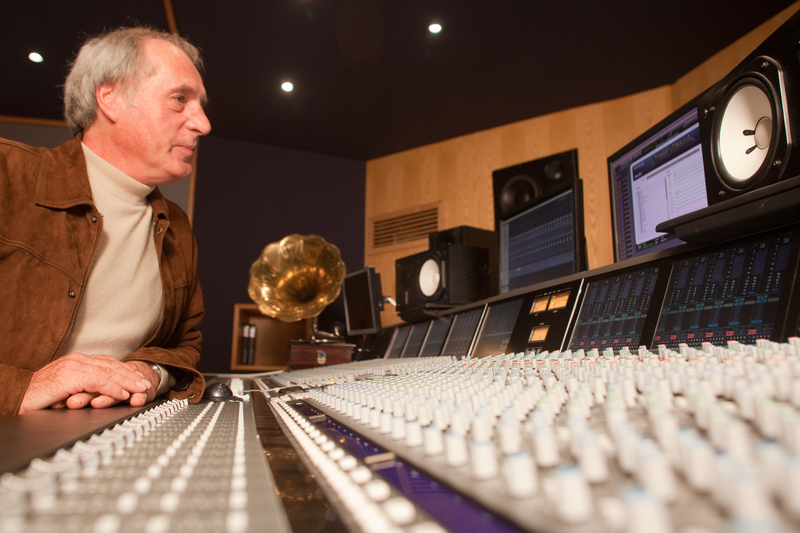 The market erupted and the door was left wide open for a new generation of manufacturers such as Neve and SSL. 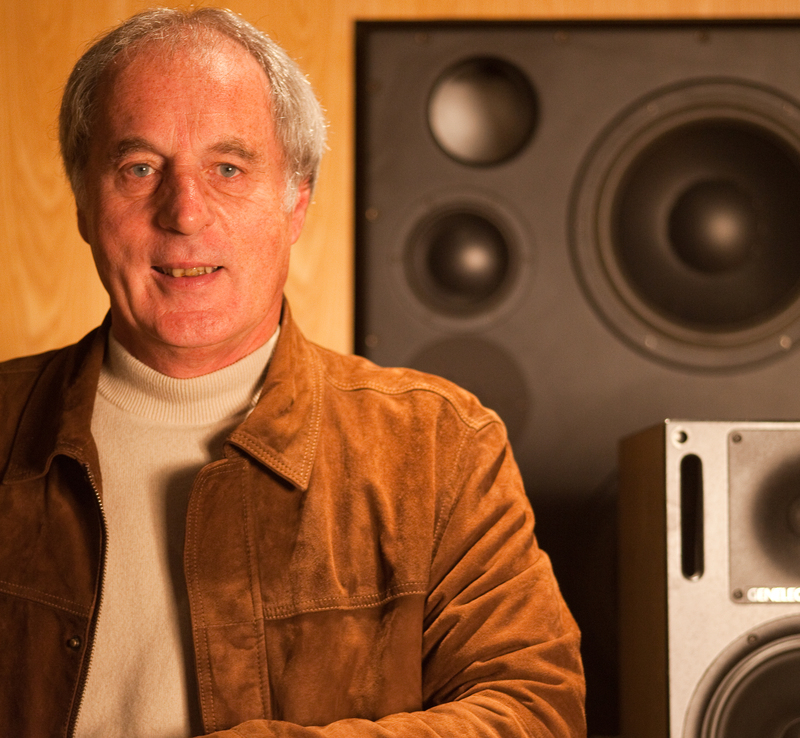 Leckie recalls that one of the main challenges of mixing for vinyl was the time limitation imposed by the format. In essence, the 33rpm ‘long player’ was a compromise format developed to allow record publishers to get an entire symphony onto one piece of plastic, allowing 22 minutes per side. This became the marker for modern musicians making LPs. Although we’re not here to talk about the household names that Leckie has produced, there comes a point where it’s impossible to go forward without discussing the human factor. Anyone who has even a passing interest in mainstream rock music in the 70s, 80s, 90s and beyond will recognise the importance of Leckie’s work. But presumably, not all bands work the same way, and so I ask Leckie what happens creatively in between Day 1 and Day 30, from the band walking into the studio with an idea, to them walking out with a hit record. How much of a role does the producer play in the creative side? Having reflected on the pre-digital days and the key revolution of the increase in channel capacity, the discussion turns to the future. Once there were 120 recording studios in London. But now there are only three places where you can record a full orchestra. Despite SSL shipping big consoles in healthy numbers, the market for audio technology is changing and things are getting smaller. Walking into Heinz Wolff’s office in Brunel University I can see that there’s an engineering crisis of sorts. 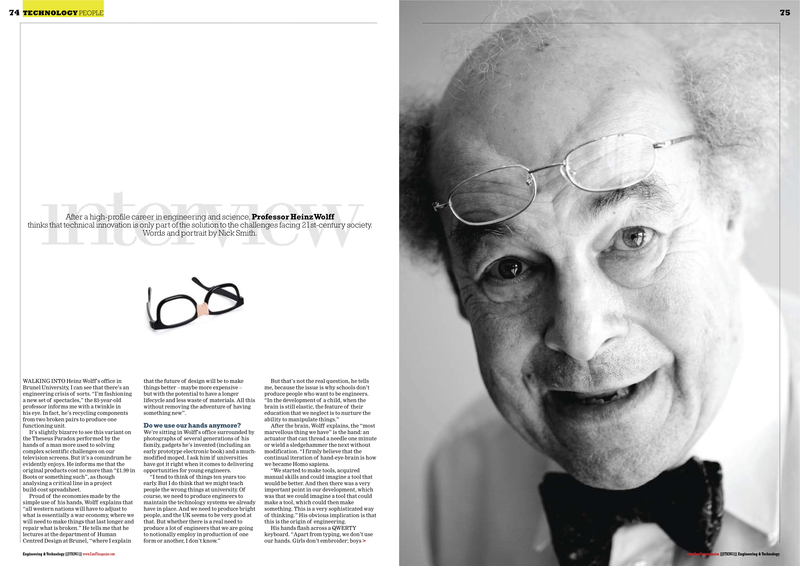 ‘I’m fashioning a new set of spectacles,’ the 83-year old professor informs me with a twinkle in his eye.’ In fact, he’s recycling components from two broken pairs to produce one functioning unit. It’s slightly bizarre to see this variant of the Theseus Paradox performed by the hands of a man more used to solving complex scientific challenges on our television screens. But it’s a conundrum he evidently enjoys. He informs me that the original products cost no more than ‘£1.99 in Boots or something such,’ as though analysing a critical line in a project build-cost spreadsheet. We’re sitting in Wolff’s office surrounded by photographs of several generations of his family, gadgets he’s invented (including an early prototype electronic book) and a much-modified moped. I ask him if today’s universities have got it right when it comes to delivering opportunities for young engineers. But that’s not the real question, he tells me, because the issue is why schools don’t produce people who want to be engineers. ‘In the development of a child, when the brain is still plastic, the feature of their education that we neglect is to nurture the ability to manipulate things.’ After the brain, Wolff explains, the ‘most marvelous thing we have’ is the hand: an actuator that can thread a needle one minute or wield a sledgehammer the next without modification. ‘I firmly believe that the continual iteration of hand-eye-brain is how we became Homo sapiens. We started to make tools, acquired manual skills and could imagine a tool that would be better. And then there was a very important point in our development, which was that we could imagine a tool that could make a tool, which could then make something. This is a very sophisticated way of thinking.’ His obvious Implication is that this is the origin of engineering. I put it to Wolff that in the UK at least it is not very conventional to have a TV presenter who is a German Jew with a heavy European accent. 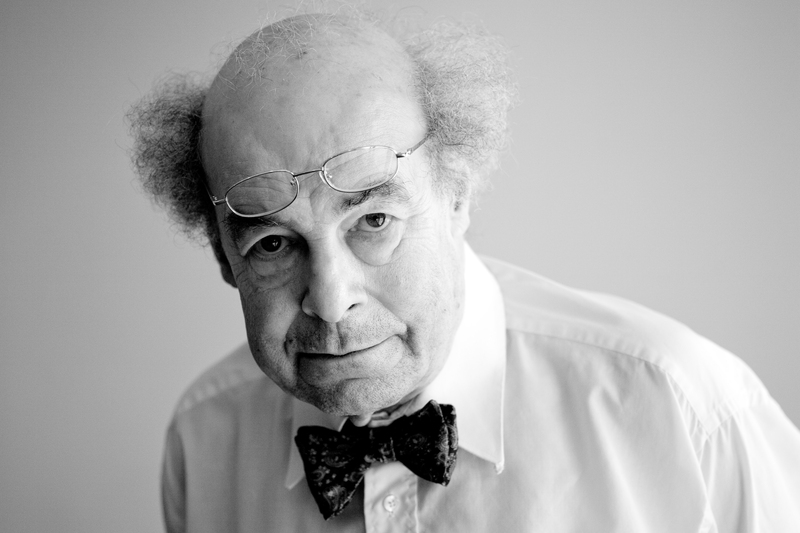 With his unconventional hair and spectacles, the bow tie from another era and an apparently distracted manner, Wolff satisfies in the public the desire to be educated by an eccentric. We laugh as we agree that Albert Einstein wouldn’t be half so well remembered if he’d had sensible hair. Virtually everyone outside the technology community knows more about the photo of Einstein poking his tongue out than they do the Manhattan Project. He can’t remember the author, but he can remember the title of the book. The prediction made in Der Untergang des Abendlandes (‘The Downfall of the Occident’, by Oswald Spengler), Wolff tells me was that the West would cease to be the epicentre of science and technology, as it migrated to the East. But it is not so much the challenge of the East that bothers Wolff, so much as the societal trends that affect the way we think about technology. ‘If I had to explain this in historical terms, you could see it like this. Clearly Britain and other parts of Western Europe had the Industrial Revolution, with their spinning Jennies and steam engines… and we got through that. And then we had the information revolution and we largely speaking got through that to the point where – and many people won’t like me saying this – much of the communication equipment that we produce are simply toys.’ He looks at my iPhone and pronounces it ‘a fantastic device, but I wouldn’t argue that the world can’t live without it.’ Increasingly, technology is being driven by what people want, rather than what they need. 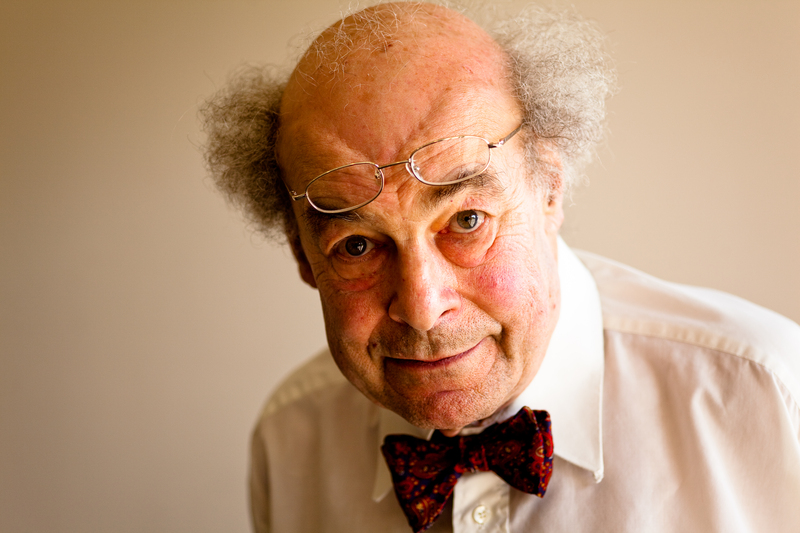 ‘I’m now working on a scheme called Care4Care, the basic idea of which is that we have to produce more resources, which the country can’t afford.’ Essentially, this is a credit system where younger people provide care for older generations in order that their care further down the road can be paid for by credits they’ve already accrued. Wolff thinks that this is going to be ‘possibly the most important thing I will have done in my life.’ He admits he hasn’t ‘got many years left to get this to happen,’ but as we sit at his desk he tells me that there is someone coming to see him this very afternoon ‘from the banking system that deals with alternative currencies.’ Wolff explains that the ‘hour’ is an alternative currency with the merit that it cannot be inflated or deflated. Picture four million mopeds, scooters and motorcycles. Now picture all of them carrying at least two people, sometimes an entire family, sometimes even a cow. Behind the boxes, packing cases, crates, string bags, bundles of bamboo, building materials, fresh market produce and cages of chickens there are the drivers. These are the unsung heroes who thread through the congested arteries of an oriental metropolis with the precision and grace of a ballet dancer. This is Ho Chi Minh City and it’s magnificent. The best thing about Ho Chi Minh City, or Saigon as you’ll end up calling it, is simply being there. You can visit the reconstructed Cu Chi tunnels where the Viet Cong held out during the war. You can visit the War Remnants Museum and marvel at the tenacity of a nation that’s brought itself back from the brink of untold horror. But the best thing is to just wander the crowded streets, or attempt to master the dangerous art of crossing the road. Or you can do as I did and stop for a dish of local noodle soup called pho and read Graham Greene’s The Quiet American in the city where it was written. 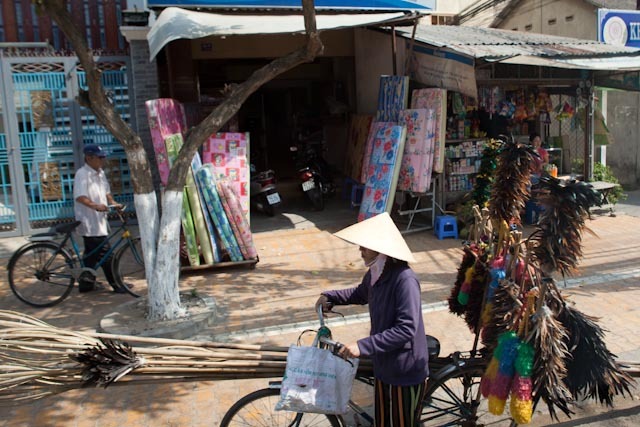 Saigon is the starting point for my escorted tour around Indochina, an anticlockwise journey that will take me through Vietnam, Laos and Cambodia. We’ve only got eleven days, but my guide ­– an outdoorsy Australian called Dave – tells me we can just about do it. He knows this because, having turned his back on the banking industry to do ‘something more interesting with my life,’ he does it for a living with regional specialists Travel Indochina. Dave knows this part of the world inside out, from the mind-boggling array of currencies to an equally varied, but much more interesting, range of cuisine. None more interesting than one of Vietnam’s real specialities, kopi luwak, which I drank in a café in Hanoi after an evening watching the world famous Water Puppets, that enact scenes of ancient history. ‘Weasel Coffee,’ as it is sometimes known, is probably the most expensive coffee in the world, and once you’ve sampled its subtle undertones of chocolate and toasted hazelnut, you’ll never want Starbucks again. If you don’t know how it’s made, you might want to keep it that way, as the manufacturing process starts with fresh beans negotiating their way through the digestive tract of a civet. This supposedly causes a chemical reaction that breaks down the beans’ enzymes, unleashing their full flavour. From Hanoi it’s a short drive east to one of Vietnam’s most iconic landscapes. Halong Bay is where immense monolithic limestone karsts rise out of the mist like gravestones in a gothic churchyard. As you sail among them in a traditional junk there’s a couple of essential stop-offs, including the Lau Dai caves, followed by a sharp mountain hike for what’s possibly the best view on earth. 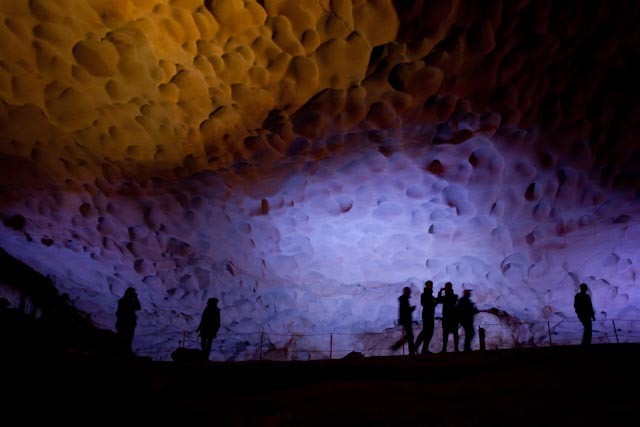 It’s an ethereal experience and one to be lingered over. But all too quickly the time comes for us to enter the altogether different world of Luang Prabang in Laos. Perched on the banks of the mighty Mekong River, encircled by vertiginous mountains, Luang Prabang has a quiet, undiscovered charm. Traditional wooden Lao houses and boutique guesthouses blend in with sumptuous ancient Buddhist temples. The air is rich with fragrances of oleander, jasmine and bougainvillea. Laos is a tiny speck of a forgotten land, often overlooked by today’s busy box-ticking tourist. It’s not an obvious destination in its own right, and so it’s a real bonus to find it playing such a spellbinding cameo on an escorted tour. Once there you soon realise that this is one of the most picturesque places imaginable. It’s also incredibly informal and stress-free. Tempered by the cooling effect of the Mekong and the fresh breezes that come down from the forests, this is the ultimate antidote to bustling Vietnam. Roadside restaurants and cafés serve exquisite steamed fish in banana leaves, sticky rice or spicy pan-fried noodles. 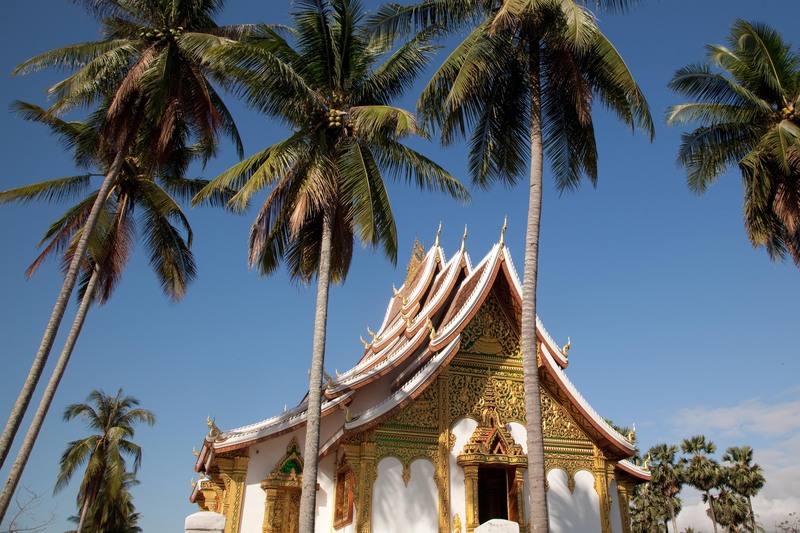 One of Luang Prabang’s most striking temples is the dramatic and serene Wat Mai. Its beauty is such that when the Chinese invaded Laos a century ago, they refused to destroy it. At Wat Mai a young monk tells us about the daily routine and rituals of his life in Buddhism. As we leave him to his meditations, we’re invited to play a quick game of petanque, the local sport, before heading for Wat Pha Bhat Tai. Here, to the sound of monks chanting, we watch the sun set over the sandbanks of the Mekong, fishermen casting their nets. 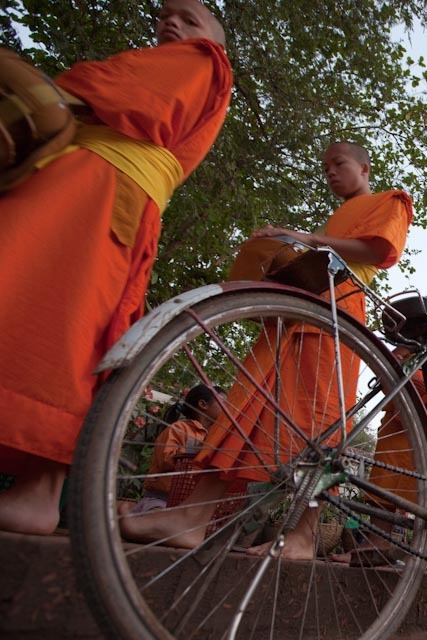 But the real highlight of any stay in Luang Prabang is a pilgrimage to watch the monks collecting alms. In the early morning light they walk along the street gathering offerings of rice, sweets and coins from locals, whose duty it is to feed them. After the monk ritual, and with a whole day still ahead of us, we return to the river to take a traditional barge upstream to the mysterious ‘cave of a thousand Buddhas’. At Pak Ou we disembark and climb a steep staircase cut through the rock to reach grottos high in a cliff-face. We are rewarded with the stunning sight of thousands of effigies festooned with garlands of flowers and dusted with the ash of thousands of incense burners. Luang Prabang is paradise for travel photographers who will find the monks in their saffron-dyed robes, the ceramic and gilt ornamentation of the temples and brightly coloured tuk-tuks irresistible. But Laos is as much about its arts and crafts as it is its culture, and the seemingly endless night market that lines the main street is as good as any in the world. Superb juniper paper goods, silver work and silk scarves provide all the retail therapy you could ever need. It was with bags groaning that we flew south to Cambodia, where at Siem Reap we tumbled out of the plane into a flat landscape punctuated by rice paddies and coconut palms. Of course, everyone who goes to Cambodia will visit the legendary temple complex of Angkor Wat and you will too. This was where Dave really showed off his local knowledge by smuggling his group in through the lesser-used eastern gate, which meant we were able to watch the sun rise over Angkor Wat’s famous quincunx of sandstone towers far away from the crowds. Provided you’re prepared to step off the beaten path, you could spend weeks wandering among the lonely, deserted ruins and hardly see another person. But most, constrained by time, will stick to the well-trodden tourist circuit, which is spectacular in its own right. There is a bewildering array of carvings, friezes, and bas-reliefs set among the silk-cotton trees whose buttresses weave their way in and out of the tumbled masonry. Sadly there are times when much of the mystique is lost, the spell broken by the continual reminder that we’re on the ‘Tomb Raider’ movie set. But it’s part of the fun, and watching crowds of Japanese and German tourists pose for their hero shots in front of the iconic architecture is a welcome break from the occasional ‘temple fatigue’ that can afflict even the most dedicated amateur archaeologist. Although it is the beating heart of Cambodia, there’s more to this country than Angkor Wat. But to find out what really makes the country tick, you’ll need to visit the artisanal silk producers, where hand-spun and dyed textiles make wonderful souvenirs. There’s also a fascinating local ballet performed in traditional costume, which is a far cry from Saddlers Wells. At the end of the performance less reserved members of the audience jump up on stage to have their photo taken with the dancers. It’s about as surreal as you can get, as is the Dr Fish foot massage in the night market, where for a few thousand Riel (about two dollars American) you can have the dead skin chewed off your feet by hundreds of ravenous flesh-eating gouramis. The length of time you can keep your feet in the communal pool is something of a badge of honour, as the sensation of being eaten alive is not a pleasant one. I managed to last for half and hour, before the hungry shoal moved on to a new punter with (presumably) tastier feet. I left with a definite sense of regret that this unorthodox massage has reached its end. As I dawdled back to my hotel drenched by a tropical rainstorm I discovered a new spring in my step. With refreshed feet, the following day we set off for a day’s sailing on Tonlé Sap – the largest freshwater lake in South East Asia – where we encountered the famous floating villages. The dramatic rise and fall of the shoreline with the seasons means that many of the local fishermen live in houses on stilts. But some go one better and build floating homes that cluster together in drifting communities. We sailed out to Chong Kneas where life is identical to any other fishing village, only it’s all on water. 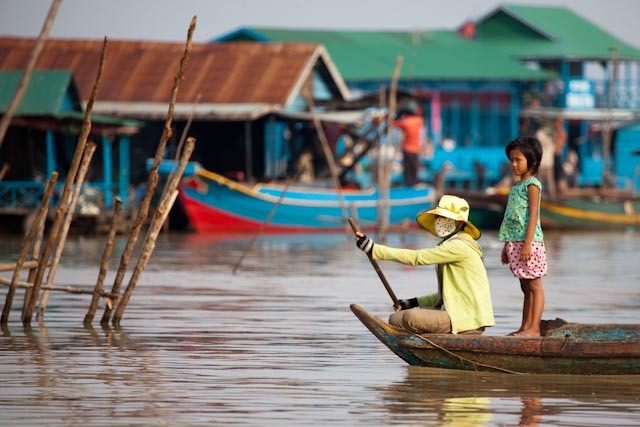 The children paddle themselves to floating school in buckets and are called ‘bucket kids’. There’s a floating pig farm, a bar, a bookshop and even a souvenir stall where we cram to bursting point the last spaces in our luggage. It’s impossible to visit Indochina without feeling the ever-present shadow of imperialism and invasion. History has been more unkind to this region than most and yet hope and regeneration seems to radiate from all corners, nowhere more so than Ho Chi Minh City. You could spend a year in Indochina and still feel that you’d only scratched the surface. But a whistle-stop adventure in this part of the world will leave you with a feeling that seems to be so rare in travel today. That you will simply have to come back again and start all over again. Sitting in a tent in the Gobi Desert Mike Horn describes what he does as ‘normal. It’s just normal.’ At the mid-point of his four-year Pangaea expedition he’s taking a well-earned breather from weeks of camel trekking in the blazing sun. We’re planning our route for the day on a map spread out before us on a makeshift table strewn with coffee cups. 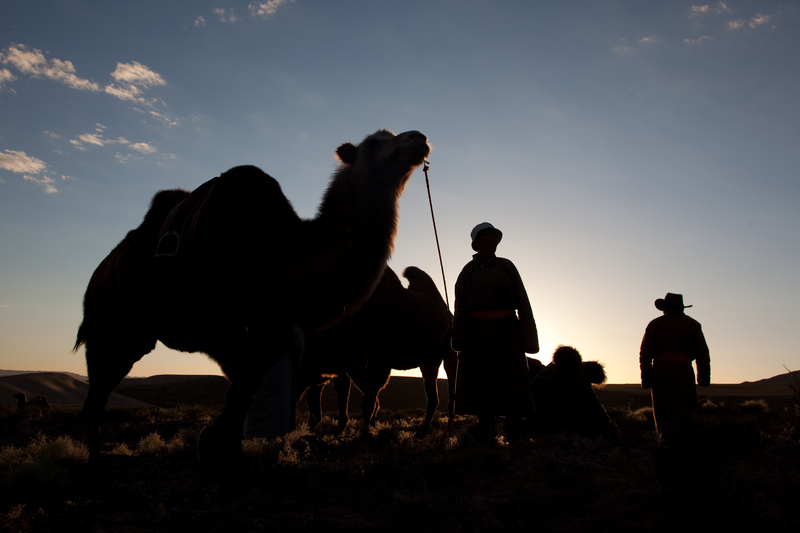 The idea is to meet the camel wranglers, saddle up and trek westward through the Mongolian Steppe. It feels anything but normal. I’ve flown in from London to join Horn on part of his Asia leg of his expedition, changing planes at Paris, Moscow and finally Ulan Bator, where I hop onto an old Soviet military helicopter and fly a further four hours west into the desert. As we make our descent into the fabled Singing Dunes I reckon I’ve been in the air for 24 hours and so it’s nice to be greeted by a woman in a red jacket offering me a chilled glass of champagne. 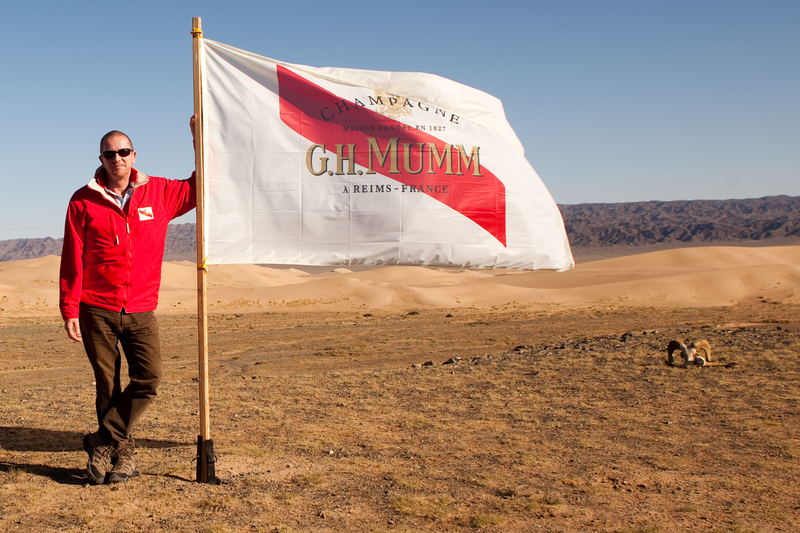 Horn’s sponsor – the house of G.H.Mumm ­– is holding a press conference to update the world’s press on Pangaea’s progress. Horn is one of the world’s highest profile adventure-style explorers and his exploits are legendary. One of the reasons for his visibility is that he embraces the triangular relationship between exploration, sponsorship and media, regarding it as healthy and symbiotic. He’s all about the message, telling me that exploration may once have been about discovering new lands and mapping the world, but now it’s about communicating environmental issues. To do that you need a financial means of propulsion and a media conduit to the wider public. 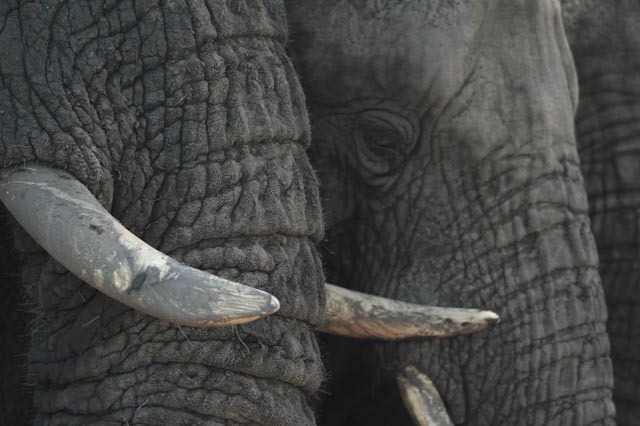 But before we can get down to the interviews and photo shoots there’s some real work to do, because Mike Horn likes to share his experiences rather than just talk about them. ‘How can you understand what I do unless you share part of that experience with me.’ An opportunity too good to miss, I make the token gesture of swatting a few flies off me, take a swig of water and with the early morning sun on our backs we wander through the Singing Dunes. 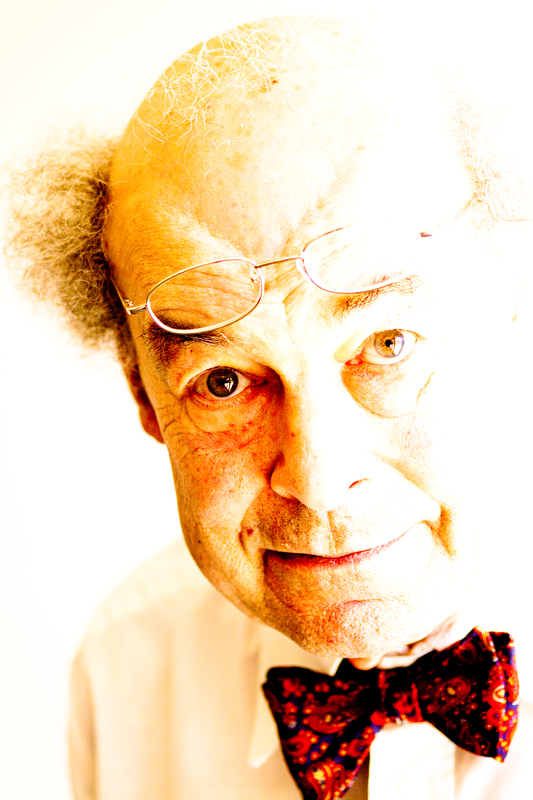 Nick Smith: How did the Pangaea project come about? 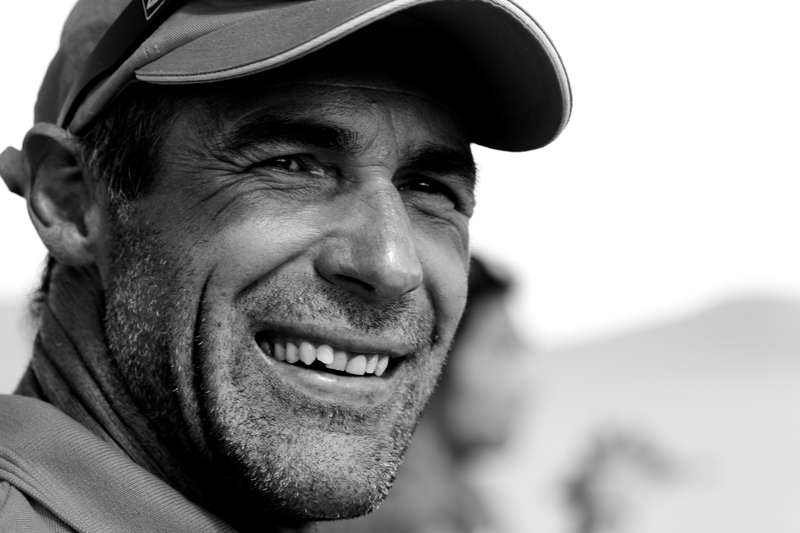 Mike Horn: When I walked around the Arctic Circle I had a lot of time to think. That’s when I developed the project. Without noise pollution or visual pollution your mind is your own and you can pull projects together very quickly without being disturbed. After 20 years of exploration I’ve seen a lot of changes in the environment: polar bears being killed by grizzly bears, birds migrating in the Arctic that shouldn’t be there. I’ve seen brown polar bears, and the changes in Antarctica with the ice shelves breaking up. It bothered me a little bit that I wasn’t doing anything and that my playground was being destroyed. That’s when I thought I’d like to reunite the world through a project called Pangaea, referring back to a time 250 million years ago when there was this one pristine supercontinent. I thought it’s impossible to put the continents back together, but you can put people together. And they can be used to channel data about the state of the environment. NS: What resources did you need at the beginning of the project? MH: The biggest untapped source of energy today is our youth. I am from an age of consumerism, but my two daughters are young enough to change the way their generation thinks. We are consuming, but they can conserve. As a boy I dreamed that I could go on a boat with Jean Cousteau. But I was never given the opportunity. I am now giving that opportunity to young people around the world who would like to experience the beauty of nature. I wrote down three key words: Explore, learn and act. The exploration is to go out and find the beauty of the planet. The learning part is to find out how to conserve that beauty for future generations. And the action is to work backwards to erase the human footprint on that beauty. And that’s what the project is about. NS: Who can take part in the Pangaea expedition? MH: Any kid between 15 and 20 years old can apply. Our team in the office goes through all the thousands of applications. It’s like American Idol: there are interviews, they have to post videos online and so on. I’m aiming to work with influential kids that will be the leaders of tomorrow. People who can change industry, politics, the world. We select 24 and they get put through a strenuous further selection process of communications training and then wilderness survival in the Alps. At the end of this process we filter out 12 – two from each inhabited continent – to join me on my expedition. Having these people with me gives me the chance to communicate with the whole world from the Gobi Desert. NS: How does the expedition translate into tangible scientific fieldwork? MH: When the young explorers get home, they get posted out and start on the ‘act’ programme where we reconstruct coral, clear the garbage out of the ocean, plant trees and so on. We have three pillars: biodiversity, social community services and water. All the projects based on these pillars are sustainable. We don’t just go in there once. These are five to ten year projects, and we are giving the youth a starting point to rebuild the world. NS: What effect will Pangaea have on the Gobi Desert? MH: We’ve taken soil samples to give us an indication of the fertility of the region. We’ve looked at water here, which is one of the biggest problems. Then we looked at the desert people who are living here, vegetation dispersal and over-grazing. 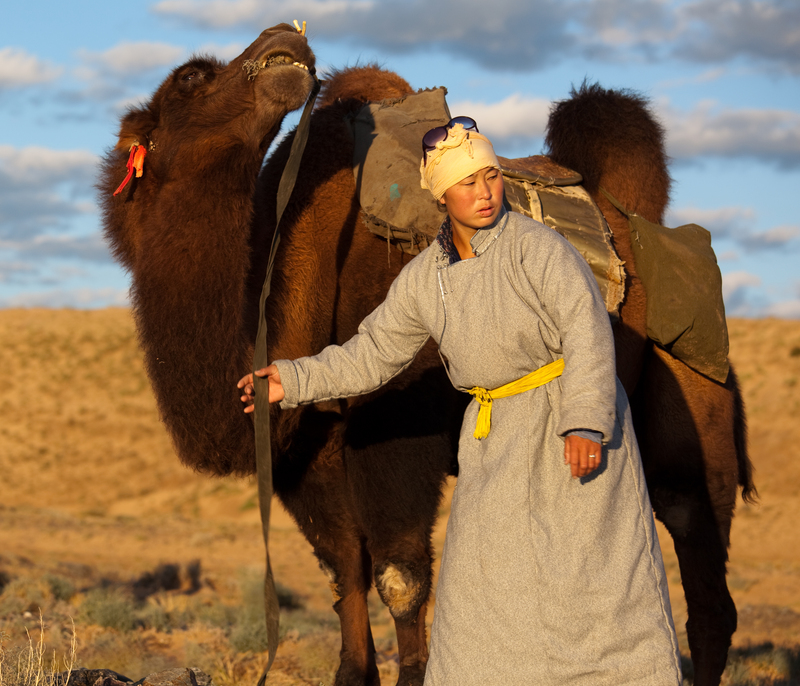 We’ll give all that information to the university of Munich in Germany, which will examine how we can scientifically work with the youth in Mongolia to save the ground water and to prevent overgrazing. Then our young explorers come back to help to implement the project. NS: Why do you put such an emphasis on media coverage for Pangaea? MH: We don’t get our money from governments. My personal sponsors fund this expedition and so we want to give something back to them. But more important is the idea that we can somehow tell our stories to guys in the bars back home. If you walk into a bar the one thing you can guarantee is most people will be speaking about what’s in the newspapers, on TV or on the internet. The platform is there for us, and we need to create a buzz. And this is basically to what explorers do today. We go out, find knowledge and share that knowledge. When Captain Jean-Baptiste Charcot became the first Frenchman to set foot on Antarctica, he celebrated in true style with a bottle of champagne, a newspaper and his trusty pipe. The year was 1904 and the bottle was a gift from his friend Georges Mumm, head of the Champagne house that sponsored the explorer’s Français expedition. The famous toast on the ice shelf lent Charcot’s expedition was immortalised in one of the great expedition photographs from the Heroic Age. For Charcot there was a synergy between his fine wine of choice and the pioneering values of his adventures. 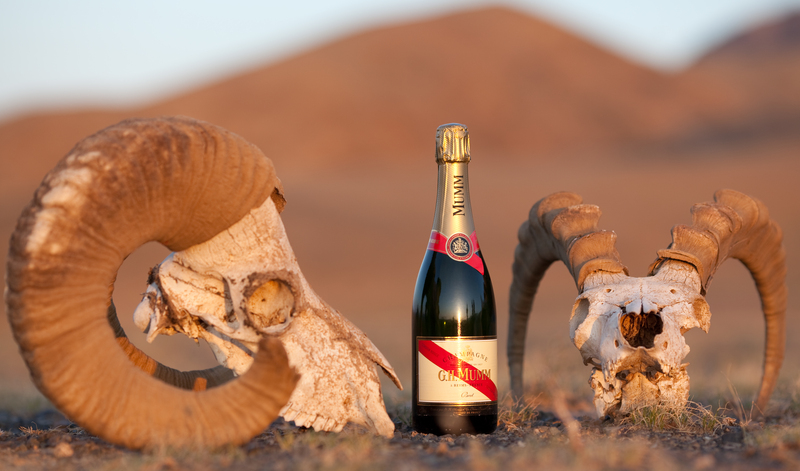 Horn teamed up with Mumm Champagne to help spread an environmental message through a co-ordinated press offensive that would use every type of media available to him. 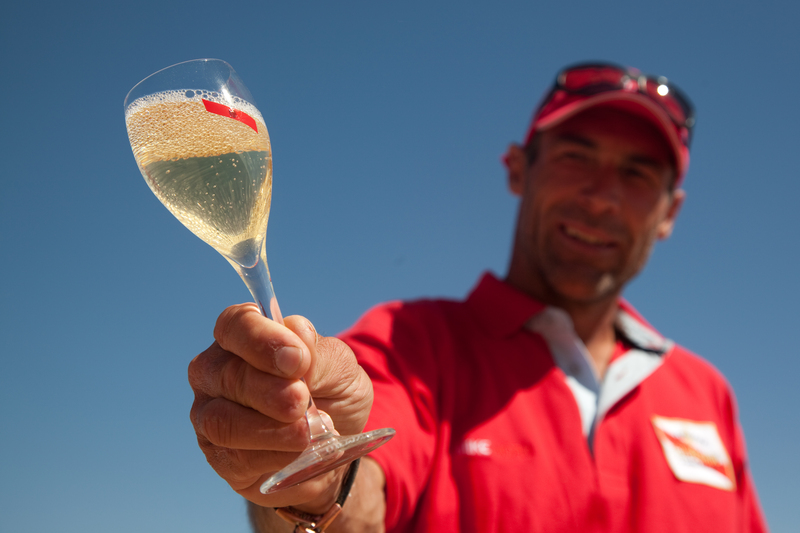 Ever mindful of the significance of Charcot’s iconic toast in Antarctica, Horn and Mumm prepared to celebrate each successful leg of the trip with an exceptional ‘Explorer Experience’ – a champagne-paired dinner where press photographers would be able to reinterpret digitally the classic photo taken a century ago. 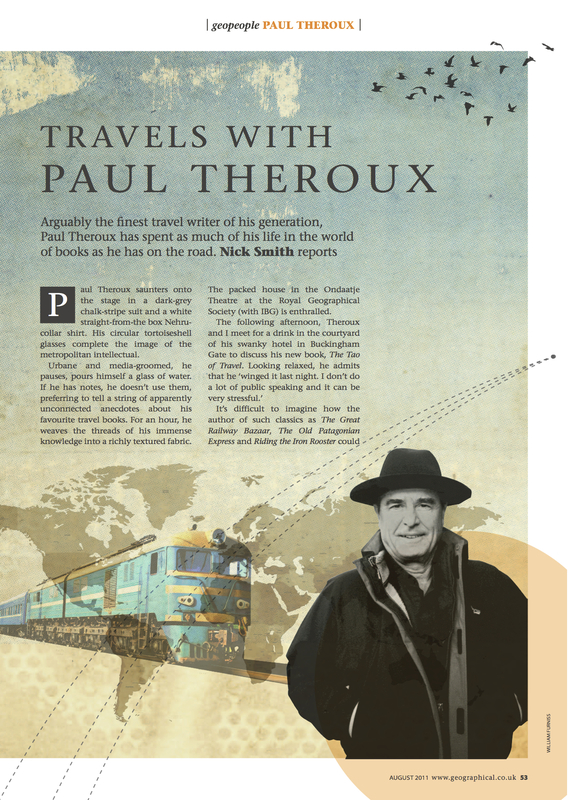 This article first appeared in the Summer 2011 edition of the Explorers Journal, the magazine of the Explorers Club in New York. 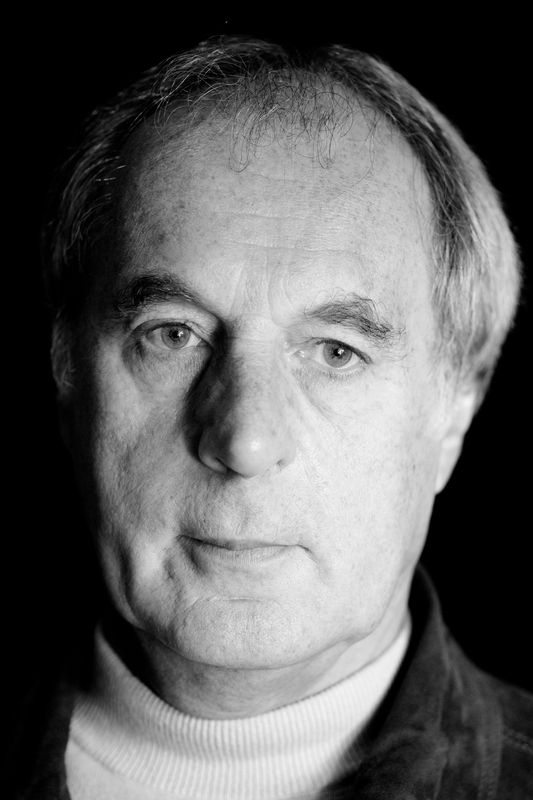 Paul Theroux saunters onto the stage in a dark grey chalk-stripe suit and a white straight-from-the box Nehru collar shirt. His circular tortoiseshell glasses complete the image of the metropolitan intellectual. Urbane and media-groomed, he pauses to stride across the boards, pours himself a glass of water. 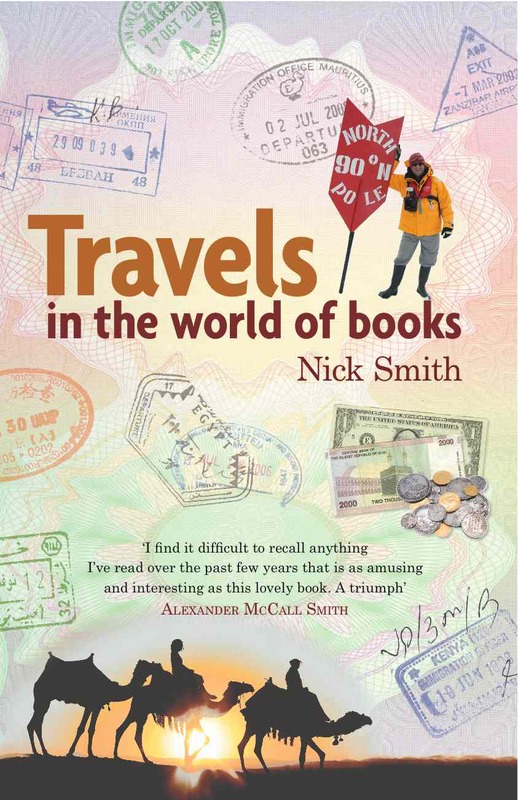 If he has notes he doesn’t use them, preferring to tell a string of apparently unconnected anecdotes about his favourite travel books. For an hour he weaves the threads of his immense knowledge into a richly textured fabric. The packed house is enthralled. The following afternoon Theroux and I meet for a drink in the courtyard of his swanky hotel in Buckingham Gate to discuss his new book The Tao of Travel. Looking relaxed, he admits he ‘winged it last night. I don’t do a lot of public speaking and it can be very stressful.’ It’s hard to imagine how the author of such classics as The Great Railway Bazaar, The Old Patagonia Express and Riding the Iron Rooster could find sharing his passion for travel literature with 750 well-read geographers as anything other than an easy stroll. But then again, he’s never happier than when on the road. Or to be more precise, travelling by train. 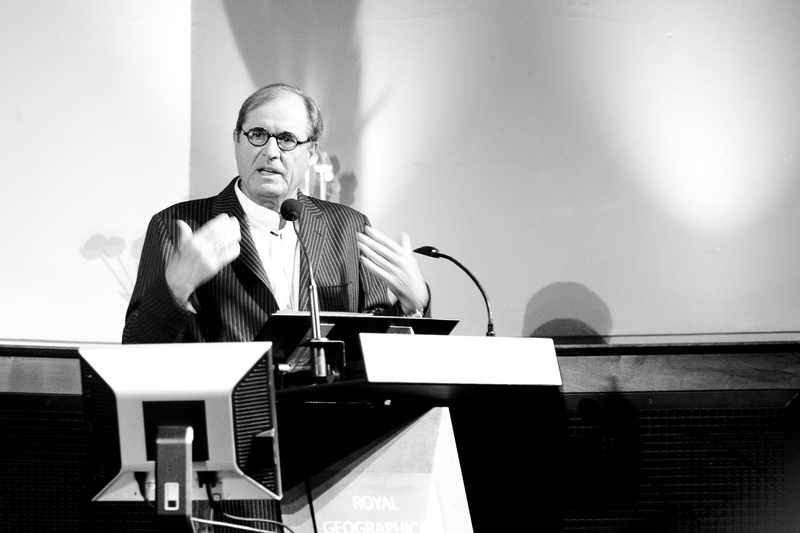 In his lecture at the Royal Geographical Society’s Ondaatje theatre, Theroux midway through his delivery, makes the observation that as a traveller, ‘if you go to an island, you can only be up to no good.’ This seems like a good place to start: after all, he lives part of the time in Hawaii and here we are in the British Isles. So what’s he up to? ‘Nothing.’ This isn’t quite true, but at the time, neither of us could have known that before his promotional tour of the UK was over, Theroux would be patching up a 15-year feud with his nemesis V.S. Naipaul. A historic handshake in Hay on Wye. ‘I’m sorry. I miss you,’ said the 70-year-old to Naipaul. 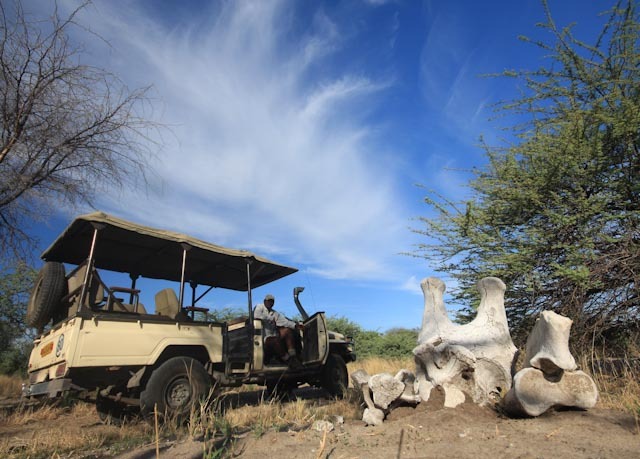 My story starts in one of those swish rustic safari lodges nestled deep in the heart of Botswana’s Okavango Delta. After an unpleasant overnight flight from London to Johannesburg, a four-hour delay prior to a short haul to Maun, followed by a hop, skip and a jump in a Cessna, I was exhausted. Exhausted and minus one camera. I told him how I transferred my spare camera body which, as we know never made it, having been smuggled out of an international airport presumably through the same weak link in the system that allows explosives, guns and drugs in. At least I’d had the presence of mind to ditch the spare, but I can tell you I was spitting blood when the insurance company refused to cough up, while the two airlines involved in the connector flight blamed each other. But I’ll have a rant about camera insurance another day. Over the years I’ve varied my approach to a problem that all photographers on overseas assignments face. Through trial and error I’ve managed to get the weight of my kit down, but I can never get it to under 11kg no matter how hard I try. By the time you’ve packed the laptop, card readers, chargers and all that gubbins, there’s barely room for a compact point-and-shoot. I bought myself one of those ‘Airport guaranteed’ ultra light packs, but the truth is that most airlines simply won’t allow you to go airside with more than 10kg of the tools of the trade. This annoys me for several reasons, but mercifully they don’t often check, so long as you pick up your pack as if it were as light as a feather. Once you’re on the plane the real nightmare begins because, while everyone plugs themselves into their iPods, novels, and handy horseshoe-shaped cushions, I’m just sitting there waiting for the hot rectangular tray of what they call food to arrive. I suppose after years of feeling like a criminal something had to give, and on a recent trip to Malaysia I nearly snapped, before being on the receiving end of an unexpected happy outcome. Heathrow check-in again. ‘I’m sorry sir but this bag is 11 kilos. It’s too heavy to take on as hand luggage,’ came the bored and yet still slightly helpful voice of someone not really enjoying what they were doing. I counted to ten and decided to reason with them. Ah, I said, but what about the people who take through a 10kg item of hand luggage and then buy a litre of water airside? As we all know from our physics classes the definition of a kilogram is that it is the weight of a litre of distilled water at 4 degrees centigrade. So, hah! The minute they buy their water they’ll be carrying the same weight as me. And what’s more, not only will I not buy a bottle of water, I further promise to drink nothing between now and boarding. So next time I go to check in with my 11kg of kit – that I can’t put in the hold because someone will steal it – I’m going to be sweetness and light. If challenged, I’ll ask their advice, help and expert opinion on how to solve the problem. The cynical misanthrope in me doesn’t for a second think such flattery will come naturally, but I suppose we could all do with learning from our mistakes. Next time you take your digital camera into the great outdoors take a big bag of fifty pence pieces with you. Then throw away one coin for every time you depressed the shutter release button when you didn’t have to. For those of you wondering what on earth I’m talking about, this is what shooting on film was like. I can’t remember the exact figures, but it cost about nine pounds to buy and process a roll of 35mm transparency film that would result in 36 photographs: 37 if you were lucky. You simply couldn’t afford to be profligate. My new camera can shoot 36 exposures in less than four seconds, and because it’s digital, think of all those fifty pence pieces I’m saving. Storage is cheap and plentiful, and if Moore’s Law holds – essentially that digital technology doubles its capacity and so halves in price every two years – they’ll be giving gigabytes away with petrol soon. But what you gain on the swings you inevitably lose on the roundabouts, because we all end up paying through our teeth in lost hours peering into the screen when it comes to the edit. If you think that this is somehow an absorbable cost or it doesn’t really matter, try throwing a fifty pence piece out of the window for every five minutes you sit at your computer. I don’t know about you, but I loved it when my trannies came back from the lab. I’d put them on the light box and reacquaint myself with what was really going on, rather than just delete stuff. Editing then seemed to be a process of selection rather than of mind-numbing elimination. But then it occurred to me that I might be looking back with misguided affection. How could it have been better then? By any objective measure cameras and their consumables today are better, cheaper, lighter, faster and funkier. Well, maybe. But one thing I am sure of is that digital is responsible for a torrential surge in mediocre photography. It’s everywhere. Don’t believe me? Put your hand up and offer to judge your local newspaper or camera club photographic competition. I decided to investigate if we really do shoot better photographs when we do it batches of 36. The rules were simple: I could take as much kit as I liked with me to the Gower peninsular and shoot anything I fancied. The only thing I had to do was stay within the frame budget and complete the project in one day. Off to the Wildfowl and Wetlands Trust in Llanelli one glorious Easter day. The sky was the colour of bluebells and there was more cherry blossom in the April breeze than you could shake a stick at. 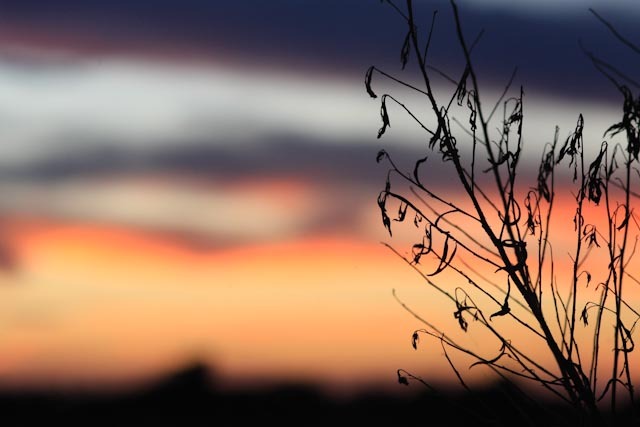 It was with an optimistic heart that I set out to fulfil my task that day of a portrait of my daughter (it was her sixth birthday), a wildlife shot (hence the drive to the wetlands) and a sunset, which would involve a short, sharp hike up a small mountain. I arbitrarily allowed myself 12 shots per project, which was a bit more daunting than sounds, not least because I was going to shoot the portrait on the teacup ride at the Easter fair, birds (for me at least) are notoriously fickle sitters and sunsets are not common in a land where it never stops raining. By nine o’clock I’d downloaded my 36 compositions into Lightroom, and to my surprise my first reactions were all positive. First, it took no time to physically transfer the files because there were simply so few of them. Second, I suddenly found myself doing a positive edit rather than just moronically hitting the delete key. Third and most important of all, the proportion of decent shots was much, much higher that I would normally get from blasting away the megabytes. I was able to select three shots quickly – one for each project – that were above my quality threshold, and perhaps even more importantly, was tucked into a pint of Brains bitter well before closing time. As I lubricated the tonsils I reflected on what my experiment had proved. I think this is what may have happened. I’d definitely spent more time thinking about what I wanted to shoot rather than pulling the trigger. And I was much more conscious of getting the basics right in order to avoid wasting my virtual roll of film. This had a further advantage, because when I came to review my work I found it much easier to evaluate how successful the images were relative to my intentions, simply because I could remember taking each exposure. I’d also had more fun, and as I polished off my pint I decided that wandering around South Wales musing on the glories of the natural world was simply a better experience than filling up flash cards with machine-gunned gunk. To get into Portcullis House in Westminster you need to pass through the sort of rigorous security procedures similar to those at Heathrow airport. There are metal detectors, luggage scanners and password-protected revolving doors. Someone takes a photograph of you before presenting you with a bar-coded visitor badge. A junior official collects you and will be in your presence for your entire visit. Photography is not permitted and there are armed policemen everywhere. I’m surprised my digital voice recorders make it into the building. We’re sitting in one of the most expensive office blocks in London. Home to 210 MPs, Portcullis House is on the north bank of the Thames, literally overshadowed by the Houses of Parliament. It’s an impressive feat of engineering, especially considering that its design included a new interchange for the Jubilee Line beneath it. We have exactly one hour, and given that I want the new Shadow Minister’s views on everything from women engineering to skills shortages, there’s not a moment to lose. But first I want to find out how Chi Onwurah – a remarkable woman of unremarkable origins – became Labour MP for Newcastle Upon Tyne Central, holding one of the key opposition roles in the SET sector. This was a defining moment, because for Chi there was no structured careers advice on offer and there was little understanding at her school of what a career in science and engineering might mean. She remembers her work placement in a laboratory, testing sausage rolls for their meat content (‘I think it was 23 per cent’). But that was the closest her school could find to giving her exposure to the scientific environment. Even so, her comprehensive school played its part. A strong-minded female headmistress encouraged the SET subjects, while in Chi’s physics class there were more girls than boys. But her options were limited. In the classroom she was solving simultaneous equations, while in the real world she was finding out that not everyone wants to know how sausages are made. What followed next was a ‘very bad time’ in the early Eighties reading electrical engineering at Imperial College, a place she describes as a white, male, public school environment. She felt that neither her professors nor her contemporaries were able to interact with women on an intellectual level, which she found ‘unhelpful in terms of encouraging me into the profession. The only women these people seemed to have met were their sisters. I’ve since been told that they were frightened of me.’ At one point she considered diverting her career towards the legal profession that she fleetingly though might be more suited to a black woman from a northern comprehensive. But she persevered with engineering. Today Chi is a Member of Parliament as well as Shadow Minister for Innovation and Science. She describes the latter position as being two jobs in one: ‘in opposition your role is to hold the government up to account. That’s important because the government is taking decisions that are going to determine our economic future.’ She elaborates, explaining that part of this role is to examine policies in innovation and science, drawing out the implications of proposed cuts in these fields, and to make clear to the electorate what are the implications of these issues. But the second part of her role – ‘which is more positive’ – is to assist in the development of her party’s policies on innovation and science. If science and technology can be seen as one of the components of economic growth, one of the obvious obstacles is the much-discussed skills shortage time bomb. ‘If you look at the IET report that I helped to launch in September 2010, one of the findings is that half of employers don’t think we’re going to have the skills we need for the new economy. So it’s clear that we’re not attracting people into engineering and technology further education. And that’s a huge issue. Speaking at the Annual Conference of the Professors and Heads of Electrical Engineering on 12th January 2011 at the IET’s headquarters at Savoy Place, Chi Onwurah highlighted some of the challenges facing the SET sector today. Here are some extracts from her speech. ‘Standing still is not an option. If government and industry can work together to invest in innovation I see a strong future. 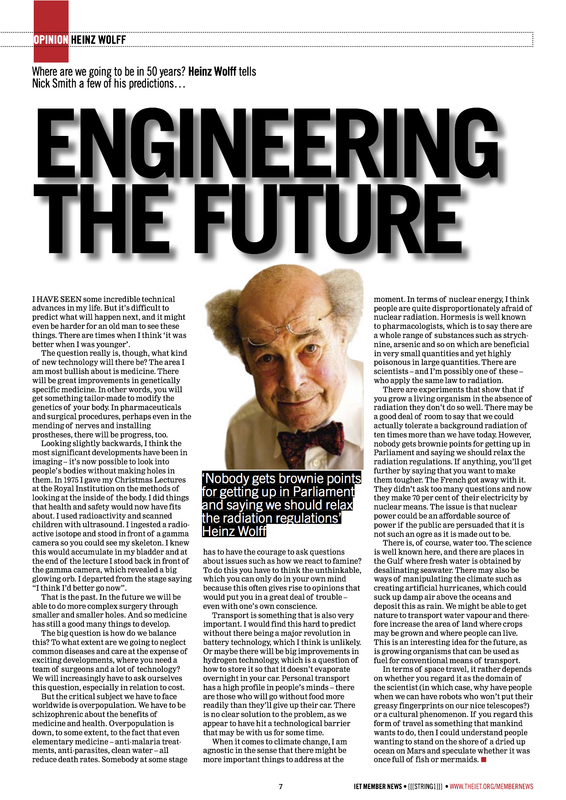 We need to be more commercially ambitious… But I am concerned at the messages going out to school students now as funding and support are cut… It is absolutely essential that all those involved in the profession shout out loud and clear how important engineering is to our country’s future; particularly to creating the quality jobs of the future and securing a sustainable recovery. ‘Properly regulated industry in a fair society, innovation should be the engine of progress for all. We need new industries if we are to have a balanced economy; one which is resilient to future crises. The financial crisis showed us the consequences of putting too many economic eggs in one basket. A Lancastrian, Nick left school at 16 and went to his local art college in Blackburn. At the age of 19 he was accepted by the Royal College of Art and became on of the youngest ever to graduate with an MA. He moved to New York for a year where he started making moving images, as well as embarking on a career with Ridley Scott Associates that represents him to this day. 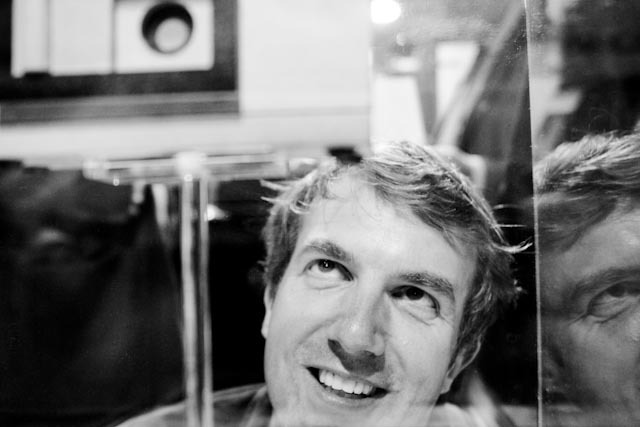 Although widely known for his short films, commercials and documentaries, Nick is an avid exponent of the pinhole technique. His camera is ‘a bunch of MDF’ that cost him about £40, put together by a ‘garden shed genius.’ On his extended honeymoon he took this camera around Chile, trekking for days off the beaten track. The result was the intriguing and popular ‘Patagonia through a Pinhole’ exhibition at the Royal Geographical Society. 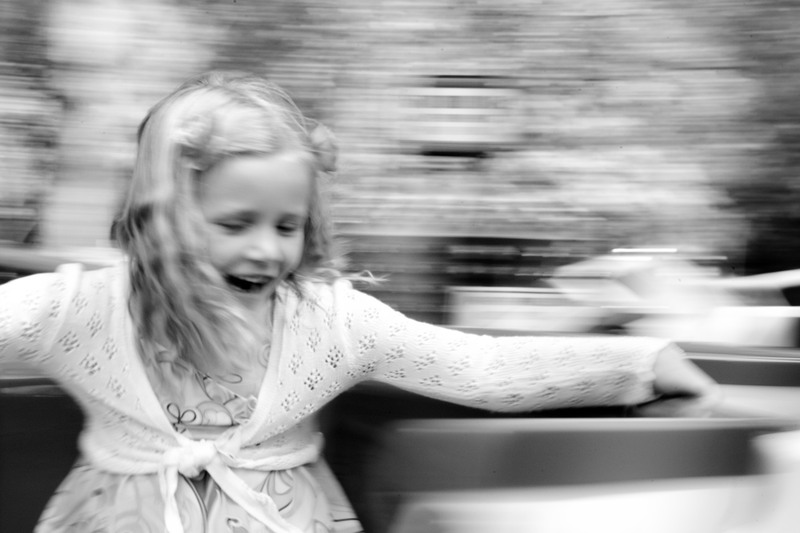 Nick Smith: When did you realise you were going to become a photographer? Nick Livesey: It was more of a quest. I was frustrated and wanted to understand light while I was making films. I was working with Directors of Photography and was really curious as to what they were doing. NS: What was your first camera? NL: Nikon FG-20 that I bought at a flea market in New York in 1993. It felt like an investment. It was something like $130. It’s just a great 35mm camera. NS: What formal training do you have? 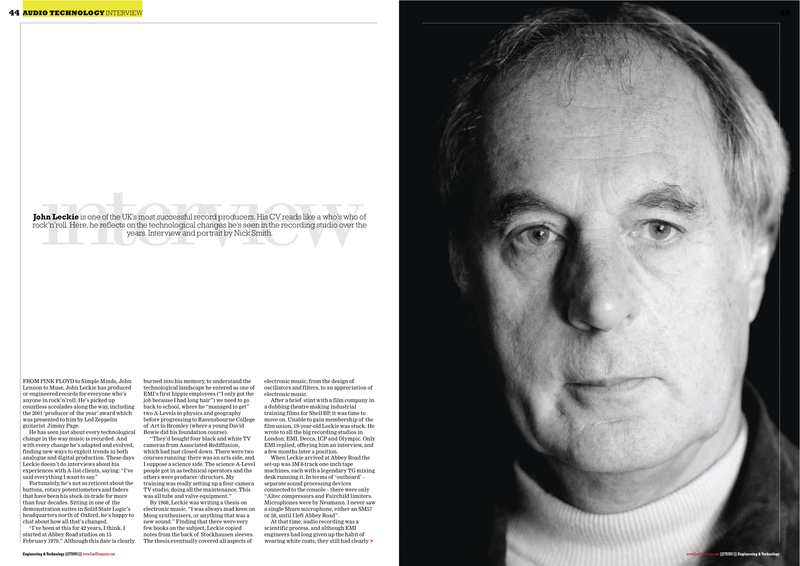 NL: I went to the Royal College of Art where I did an MA in graphic design and art direction. I pretty much lived in the dark room when I was there. At the end of the first year they asked me if there was any reason why I wasn’t working in colour. They said ‘why don’t you work in colour in your second year?’ So I did. NS: How important is it to specialise? NL: It’s great to specialise to the extent that you can get a handle on the subject. But I do like working in so many different areas. If you specialise too much you can start to wear blinkers. NS: What is the best assignment you’ve been on? NS: What’s the worst thing about being a professional photographer? NL: There’s no downside. There are so many plus factors. Maybe it would be nice to not smell of dark room chemicals. So you do have to wash occasionally. NS: Film or digital? Why? NL: They complement each other. I’m looking into ways of cutting the front off an Ixus and replacing it with a pinhole. I think it would be interesting to see what you could get with a digital pinhole. NS: What’s the most important thing you’re learned from another photographer? NL: Just stand back from it all. Get close to the subject when you’re shooting it, but when you’re arranging a show, learn to stand back from it all. Try to look at everything in its entirety. NS: What does photography mean to you? NL: I feel like a conduit. I love taking photographs, but the only point of that is if people want to see them. I’ve always been hungry for creating images. I also love the quiet world of the dark room. NS: What makes a great travel photograph? NL: It’s all about the reaction of the person viewing it. If you can see someone’s reaction to your photo in a detached way – say at a show – then you’ll know what they really think.